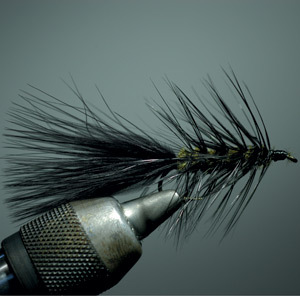 Walter Babb has been fly fishing and fly tying for almost 50 years. He has tied flies commercially most of his life. He grew up fishing in the Smokies and the Tellico River area. Brian Courtney has been fly fishing and tying over 20 years. Brian is a part time instructor at Little River Outfitters. The team of Walter Babb and Brian Courtney has started a lot of tyers out and progressed them on to the advanced level. 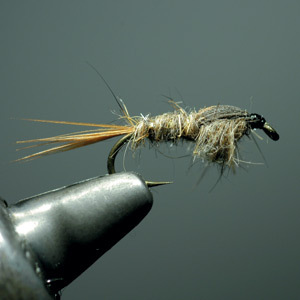 In the beginner class you will start with easier flies then progress to more complicated patterns. First you will learn about the fly tying tools. Quite a bit of time will be spent teaching you how to use the whip finishing tool. You will also become familiar with the bobbin and winding thread on the hook. 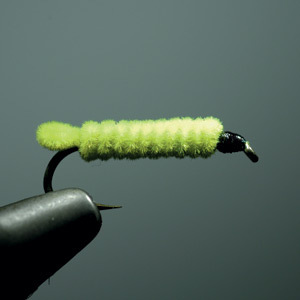 Once this is mastered by everyone you will begin your first fly, the Green Weenie. 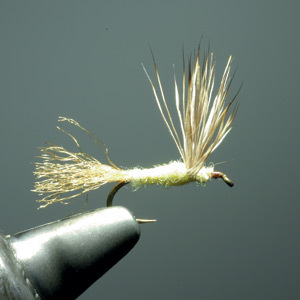 This is the easiest fly to tie. Then you will move on to the Wooly Bugger. You will have lunch around noon then start tying the balance of the flies, the Gold Ribbed Hares Ear, Comparadun, and Elk Caddis. Here's the way our teaching system works. First you will watch an instructor tie one or two flies of the first pattern. Then you will go back to your bench and using our step by step printed textbook, you will begin. An instructor will be close by to help you complete the fly. You will be given time to tie two or three of that pattern. After everyone is finished with that fly you will watch the instructor tie the next pattern. And that's how it goes. You can keep your step by step textbook to use at home to practice. We will furnish everything you will need for the day. Call 865-448-9459 to reserve space in a class. Gift Cards for classes make excellent gifts.